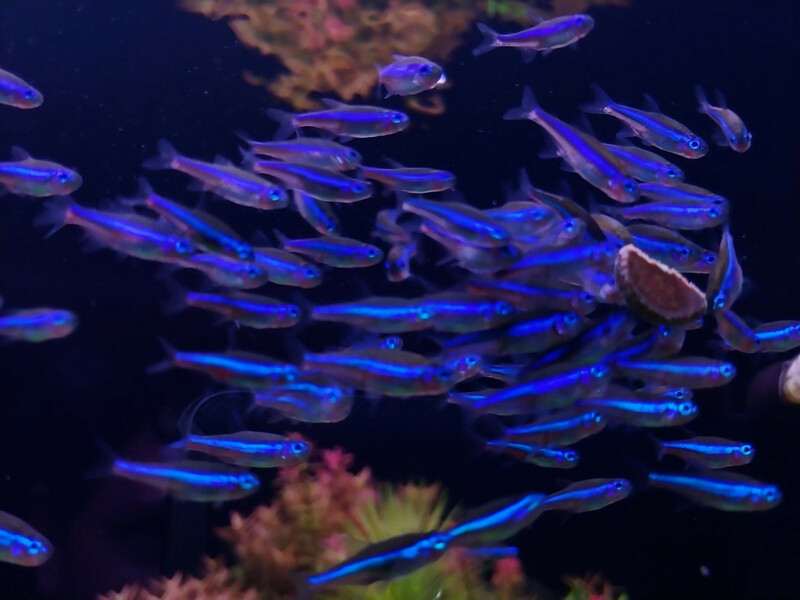 90 Gallon Custom - Page 11 - GTA Aquaria Forum - Aquarium Fish & Plants serving the Greater Toronto Area. Finally on the flowmeter bandwagon, snagged a Dwyer RMA-1-SSV on Amazon for $25 that I couldn't pass up. Bought it as BV version but turned out to be SSV, nice bonus. 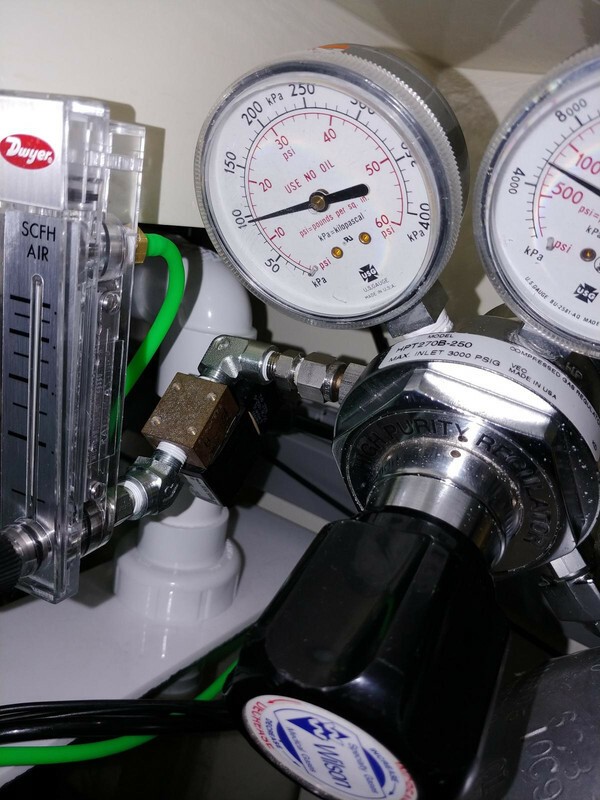 At first installed it inline after the Fabco NV to find out a starting point that is currently being injected (0.3 SCFH (140cc/m) )and then removed the Fabco and hard plumbed it to the regulator. Don't mind the messy wires, I'm not shoving everything into the cable slot until after the lights are finalized. Tested it to make sure it works, time will tell if I like it. So far so good, I rely so much on the ph controller, if that ever failed on the fish would be done. 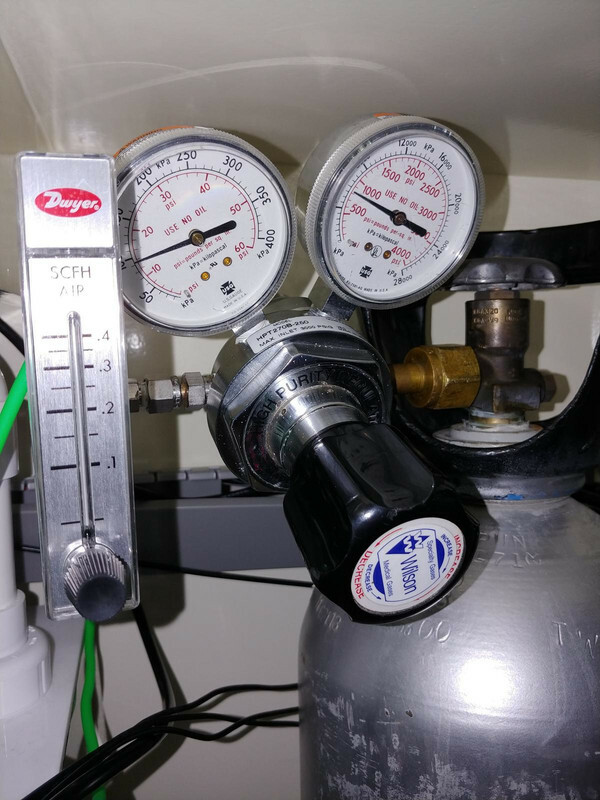 Now the flowmeter will allow fine tuning to slow down the co2 a bit I think. 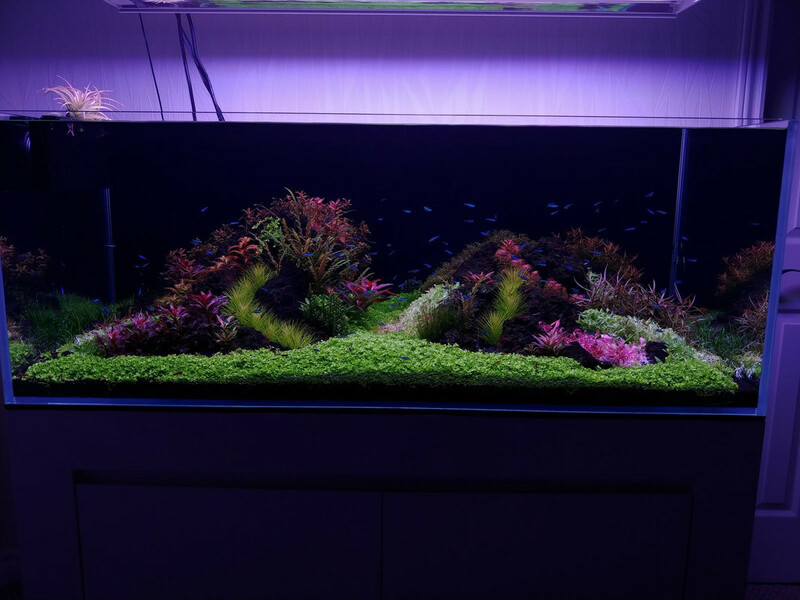 Tank was getting pretty overgrown, especially the slow growers. Decided to cut them right back, it felt good to get the mass out. Not much change, still getting some good GSA if I go past 7 days without a water change/cleaning. Last edited by hendy8888; 04-20-2019 at 10:27 PM..
That's amazing. One of the top 3 scapes I've ever seen on GTA aquaria. T5HOs are awesome. I miss them over LEDs. Thanks CB, how's the 180 going? Would love to see an update! 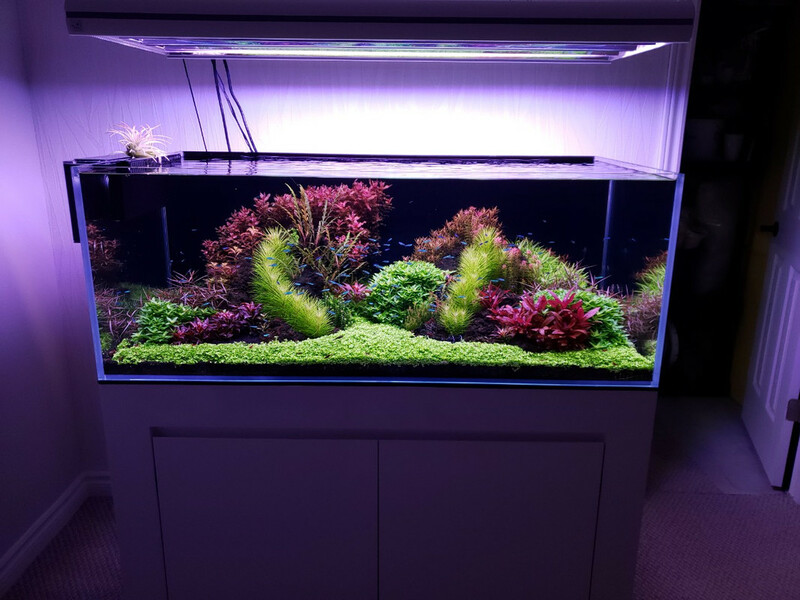 I love t5ho too, havn't tried any serious led's so can't compare, I'm too cheap to get anything that I would like. Leds for small tanks are getting better but not much out there for large tanks that don't break the bank.